First of all register a complaint at your nearest police station. If you have stored any bank account information, online banking info etc on your mobile, then request your banker to halt all transactions related to the account. If you have saved any other online service passwords on mobile, then immediately change that. Using the IMEI number, your mobile phone can be tracked and fond out from where it is being operated eventhough Your sim is replace with another one. 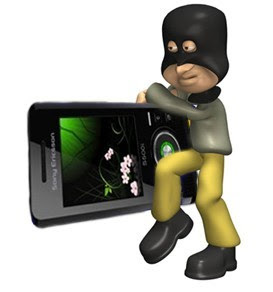 IMEI or 'International Mobile Equipment Identity' is a unique 15-digit number assigned to all cellular devices. We can use this number to block a mobile phone from being used by another person or phone company if it has been lost or stolen. Click here to know more about IMEI number. How to change your Mobile networks service provider with out losing your existing mobile number?